The MISR instrument, flying onboard NASA's Terra satellite, carries nine cameras that observe Earth at different angles. It takes about seven minutes for all the cameras to observe the same location. The motion of the clouds during that time is used to compute wind speed at the cloud tops. 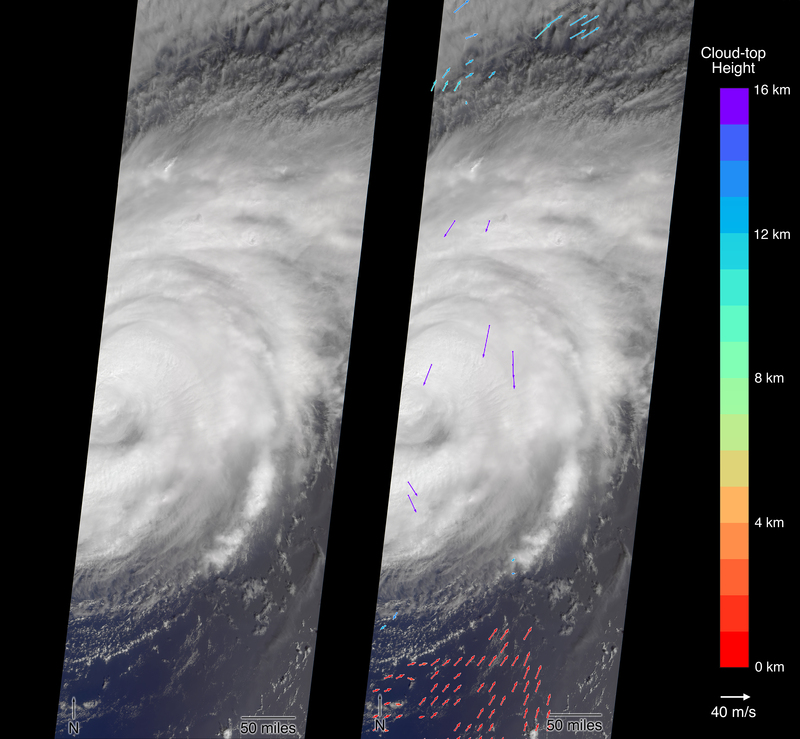 These images show Florence as viewed by the central, downward-looking camera (left) and the storm's wind speeds (right). In the right image, the length of the arrows is proportional to wind speed and their colors show the altitude of the cloud tops in kilometers. The data show that the cloud top winds near the center of the storm were approximately 70 mph (113 kph), and the maximum cloud-top wind speed throughout the storm was 90 mph (145 kph). 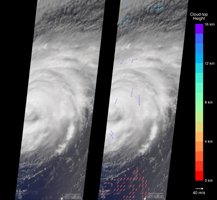 The wind data also shows that the lowest clouds are moving counter-clockwise, indicating inflow into the southern part of the hurricane, while the high clouds to the north of the hurricane show a clockwise outflow.